Motivate your kids to do their homework with these simple recipes! Milk is an important part of your child's diet, but it can be challenging to entice them to drink it regularly. The great thing about milk is that it's versatile—you can use it in recipes or disguise it as treats. Your kids wouldn't even know they're getting their daily dose of vitamins and nutrients from milk! 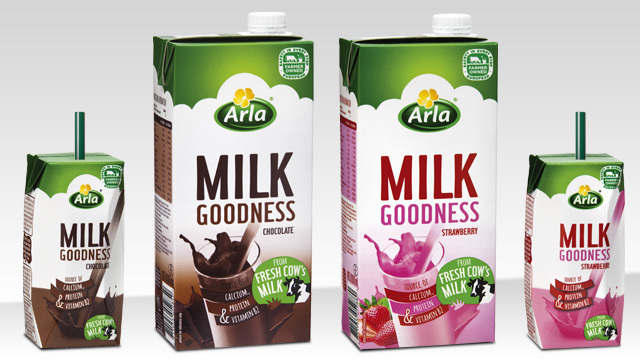 Arla Foods has come up with a delicious way to encourage your kids to keep drinking milk. 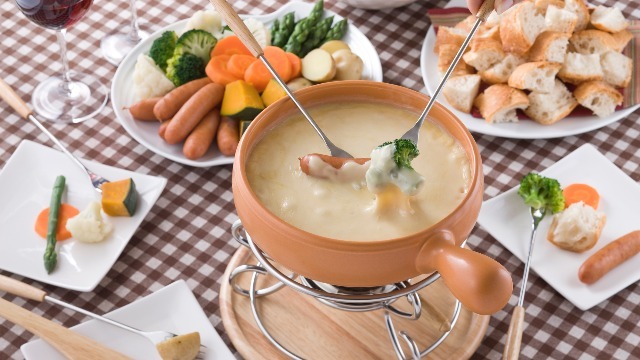 Check out these recipes made with Arla Milk Goodness, which is made from real cow's milk without any artificial ingredients. 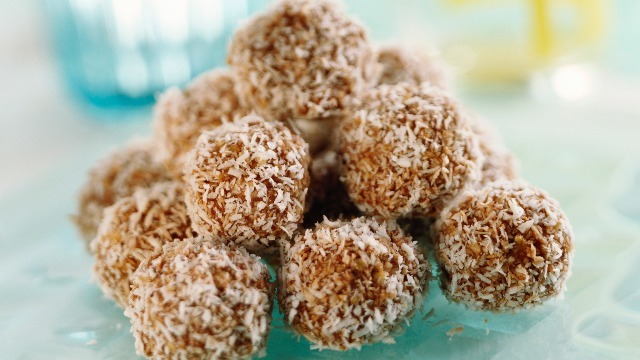 These protein-packed balls would make great school snacks, too. 1 Combine rolled oats and coconut in a large bowl. 2 Add the peanut butter and honey, and mix to combine. 3 Slowly add the Arla Milk Goodness Chocolate and stir mixture until it comes together. If mixture is too dry, add more milk until you can form a sticky ball that holds its form. 4 Use your hands to roll mixture into balls. Place in a baking sheet or plate and refrigerate for 30 minutes. Kitchen Pro Tip: Experiment with other ingredients such as chia seeds, dried fruit, honey, and Arla Milk Goodness Strawberry. Mix them with rolled oats and desiccated coconut to make a fruity combination. 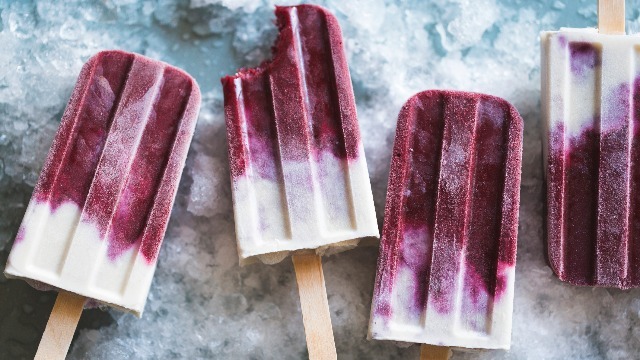 Frozen pops are always a surefire hit among kids! 1 Place ingredients in a blender and blend until smooth. 2 Pour into ice-pop molds and freeze overnight. 3 To serve, place bottom of molds in a container with water until the pops loosen and you can gently pull them out. Serve immediately. Kitchen Pro Tip: Play around with other fruit combinations such as strawberry-pineapple, strawberry-papaya-coconut, or strawberry-melon. You can also try chocolate-banana and chocolate-peanut-butter using Arla Milk Goodness Chocolate. 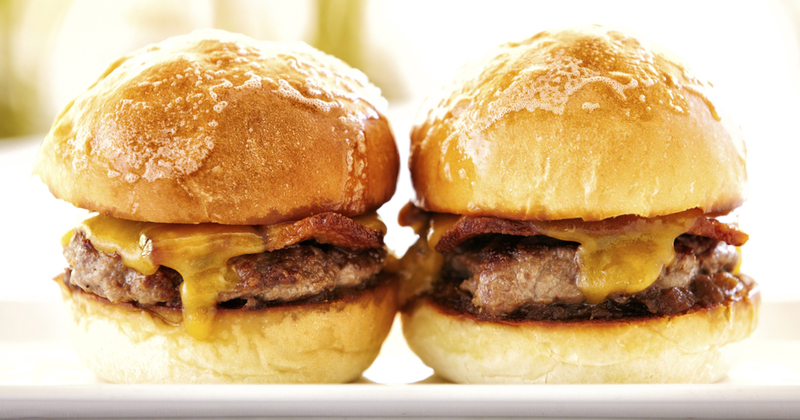 This is a great way to use up leftover bread, too. Plus, it's loaded with yummy chocolate milk! 1 Preheat oven to 350 degrees Fahrenheit. 2 Grease a baking dish with about 1 teaspoon melted butter. Spread so the sides are well greased. 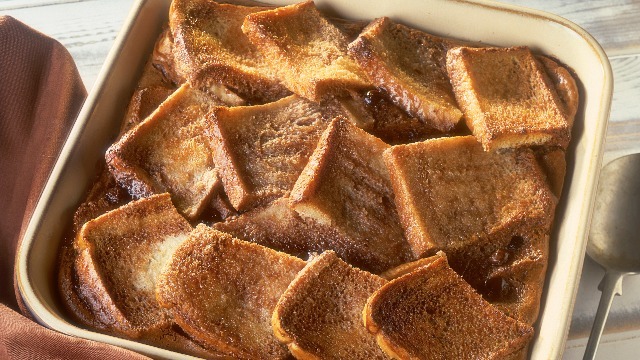 Place bread into the baking dish. Set aside. 3 In a large bowl, beat eggs. Add the butter, sugar, and Arla Milk Goodness Chocolate. Mix until well combined. 4 Pour milk mixture over the bread. Turn the bread so every piece is soaked. Add more Arla Milk Goodness Chocolate if needed. 5 Bake for 30 to 45 minutes until pudding is set and top is golden. Kitchen Pro Tip: Make Strawberry-Banana bread using Arla Milk Goodness Strawberry and ripe mashed bananas. You can add nuts and chocolate chips, too. 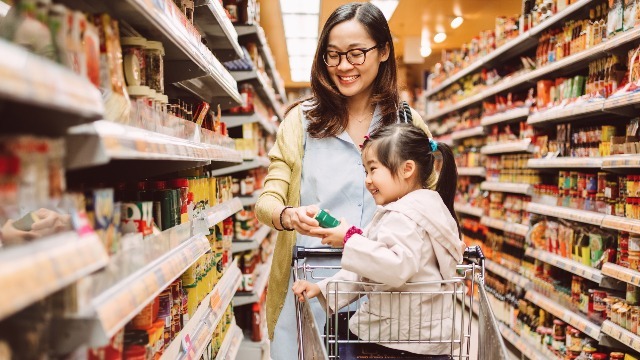 Arla Milk Goodness Chocolate and Arla Milk Goodness Strawberry naturally contain calcium, protein, and vitamin B2, which are essential for fueling growing bodies and busy minds for their everyday needs. 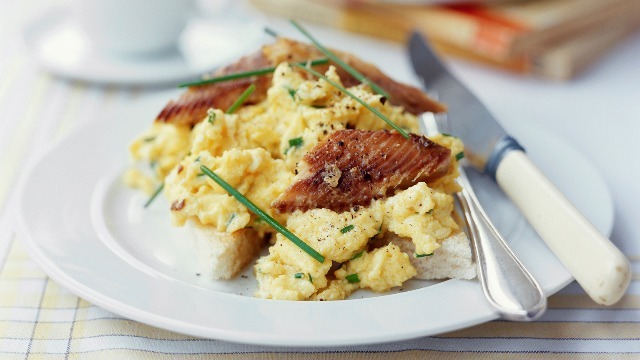 Got your very own Arla Milk Goodness recipes? Share them here!